Climbing is a wide-ranging activity with so many different facets. Not just a sport, it plays a huge part in our development. 2020 will be an exciting year for climbing enthusiasts worldwide. Sport Climbing has been officially proposed as a new sport for the Tokyo 2020 Olympic Games. For the first time in the history of the Olympics, we will see athletes from all around the globe competing across three specific disciplines of climbing: Lead, Speed and Bouldering. In this article we take a look at 9 interesting facts around the importance of climbing for young children, ideas for using climbing walls and frames in schools, and how schools can make the most of the PE and Sports Premium to support pupils in their quest to reach new heights! Fundamental movement skills are movement patterns that involve different parts of the body and provide the basis of physical literacy, which is the driving force behind Physical Education lessons in schools across the board. They are the foundational movements to more complex physical skills used in play, games and sports. Physical literacy is about allowing children to develop the motivation, confidence, physical competence, knowledge and understanding that will provide them with the movement foundation they need for lifelong participation in physical activity. Climbing activities promote the development of all movement patterns. They require body management, that is the ability to balance the body both in stillness and in motion. Climbing activities are essential for developing physical literacy and without them, children will find it difficult to safely and competently develop other fundamental movement skills. Climbing is an ideal activity for teaching children the value of teamwork, looking after one another, helping each other to stay safe and achieving goals by working together. 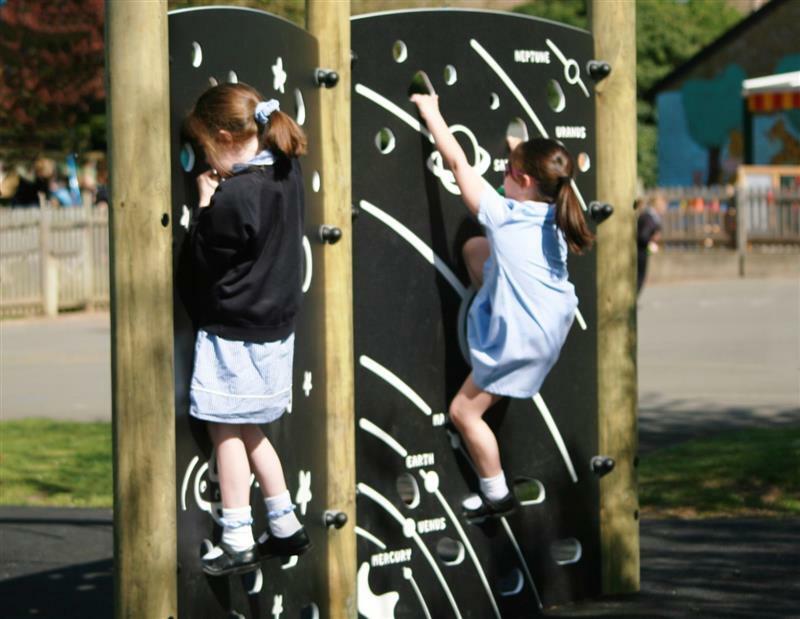 In primary schools, children will always love to climb Climbing Frames, traversing walls and bouldering walls. 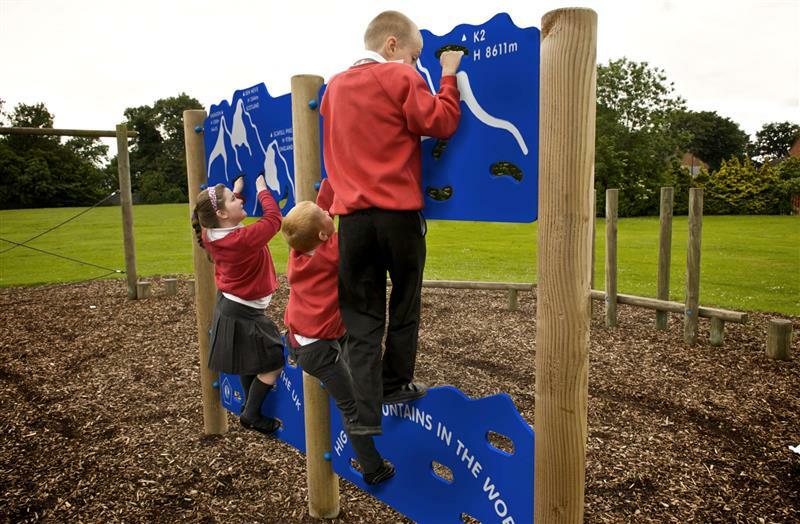 Used during PE lessons, teachers can group children together in pairs or small groups, encouraging the child or children on the ground to instruct, direct and support the climber to complete their climb. They learn what it means to achieve their own goals, to feel a sense of achievement and satisfaction, as well as the enjoyment of building self-confidence and self-belief, and supporting their friends in doing the same. Climbing is a sporting activity that can be practised anywhere. 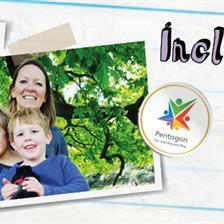 It’s popular with children and young people and it’s great for developing strength, flexibility and analytical skills. As a spectator, it is a sport that can be held in spectacular venues for breathtaking shows with a real element of suspense. Showing them videos in the classroom of professionals doing their thing is guaranteed to get children up and wanting to have a go! Even better that it’s an outdoor sport as much as indoor, so it gets them out and active in the fresh air. Having access to, and regularly using a climbing wall or climbing equipment, leads to a marked improvement in physical literacy in children in terms of balance, agility and coordination. Regularly climbing is a great form of exercise with many health benefits. It offers a great cardiovascular workout as it requires a lot of physical energy. Balance and coordination are improved as children traverse across different surfaces and between levels. The stretching, reaching and swinging, pulling and pushing actions of climbing teach children spatial and body awareness. It works their muscles so they can grow and develop as they should. All of these big movements enjoyed regularly trigger muscle memory and teach children body control. Primary School Children need to establish this in order to be able to go on and master smaller movements which require finer control and use of fine motor skills for writing. Grab and grasp actions through climbing really help with this too. Keeping their bodies active and strong through climbing can’t fail to support children in this way throughout all of the Key Stages. Climbing plays an equally important role in mental wellbeing for children. Most children have a natural sense of adventure and it’s essential to capture this and let them learn from it for themselves. Climbing is exciting, invigorating and liberating! Climbing anything outdoors harnesses that feeling of being alive, making their own choices, having fun with it and being out in the fresh air. Being a bit daring and perhaps trying to reach a bit further than they have been before. We all know how important getting active outdoors is for their mental wellbeing, and climbing allows children to embrace this in every way. Through climbing, children are continuously learning how to navigate a course, how to assess risk so as not to fall and hurt themselves. By offering children plentiful opportunities to climb in safe and supported environments at school they learn perhaps some of the most valuable life skills there are. Maths - Children can use timers to see how long it takes them to travel a course. Science - How does gravitational pull impact your ability to climb? What are the forces involved with climbing and falling? Children can test it out for themselves. Use ropes as pulleys to test how they work and how they can maximise your pulling power. Geography and PE - Could you climb a mountain? What are the most well-known mountains around the world? Can your class have a go at covering the distance of your favourite mountain over the course of a term or school year on your climbing wall? Using a climbing wall successfully requires logical thinking. Climbing frames, climbing walls, bouldering walls, climbing any which way, all present great mental challenges for children. They need to plan strategically how to get where they want to be and think about how best to move their bodies within the framework. Climbing uses cognitive skills as much as anything else, as children mentally map out their route and learning how to navigate. Of course, children won’t view it this way because they will be having too much of a good time! But the need to use their brains is there all the same. It stretches their bodies and stimulates their minds at the same time. And once they get into it, younger children will really use their imaginations too. 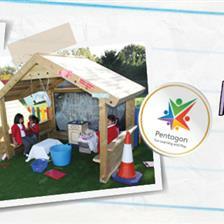 A climbing wall or frame can easily become a wild mountain range or a pathway into space at playtime! Sport climbing essentially involves participants scaling permanent anchors, like bolts, fixed to a wall or rock. According to the International Federation of Sport Climbing, more than 140 countries now have climbing walls, with over 35 million registered climbers around the world. Its popularity in the UK has lead, amongst other things, to the implementation of recognised Awards Schemes and achievement courses for children, all of which promote safety, self-confidence, and sense of achievement. The NICAS (National Indoor Climbing Award Scheme) is a well-established scheme for children aged 7 years and above which runs over 5 levels. It has seen thousands of young people participate, starting as absolute beginners and becoming elite climbers. Climbing is also a GCSE option for PE, and the younger they start, the better, so primary school is the perfect place to begin! The British Mountaineering Council have created a number of resources to support teachers and pupils with climbing at school. The British Mountaineering Council website details a really interesting case study of how one primary school got their children into climbing. 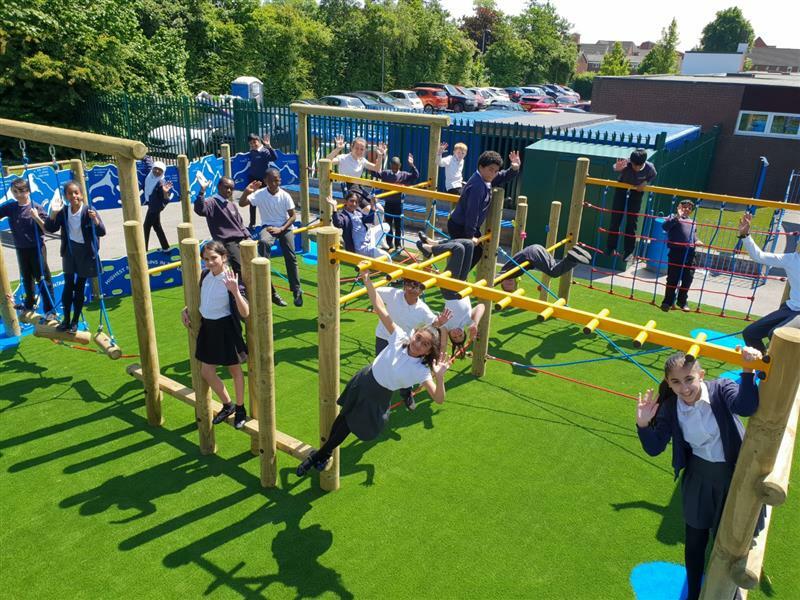 They wanted to expand the PE curriculum and they wanted to utilise the space they had and allow it to be accessed at playtimes and lunchtimes. So, using some of the school’s PE and Sports Premium funding, they started a project to give children a totally unique experience and a peek into the world of climbing and bouldering. 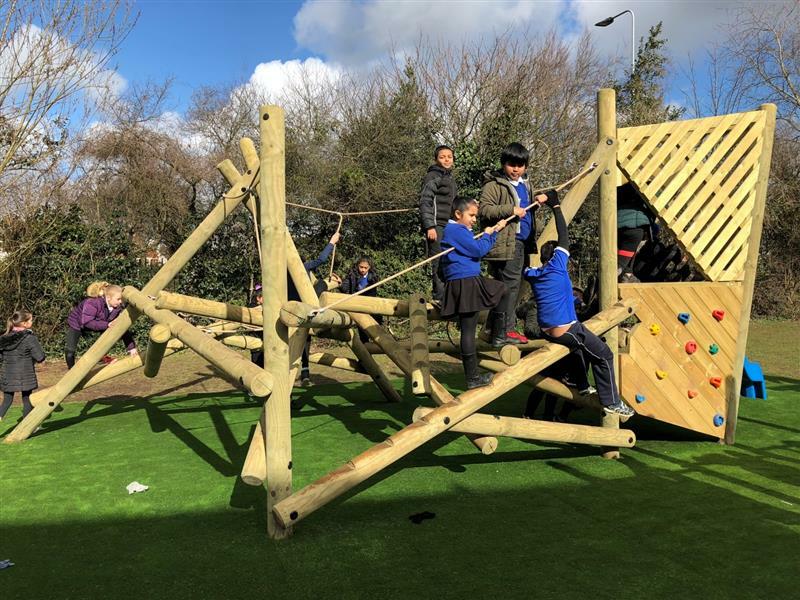 The school had traversing climbing walls installed in both their Year 3 & 4 and Year 5 & 6 playgrounds, to involve all of their Key Stage 2 pupils in the project. "Having the traversing walls has allowed the children to know their climbing level and practice in their own time. 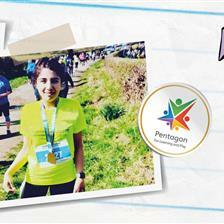 This has driven them on to develop self-motivation skills and solve problems that they thought were not possible. It allows me to assess the children on a variety of skills and techniques, fundamental movements, climbing routes achieved and progress made over the year." Climbing facilities are evidently a brilliant and cost-effective way of spending the PE and Sports Premium. 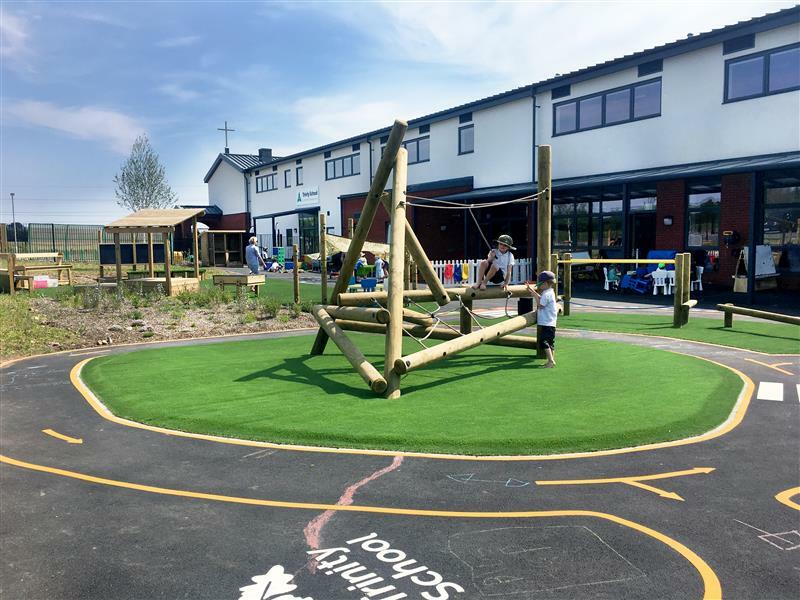 Depending on what your school is looking to achieve, there are many different ways in which you can get your pupils outside and climbing in your playground. 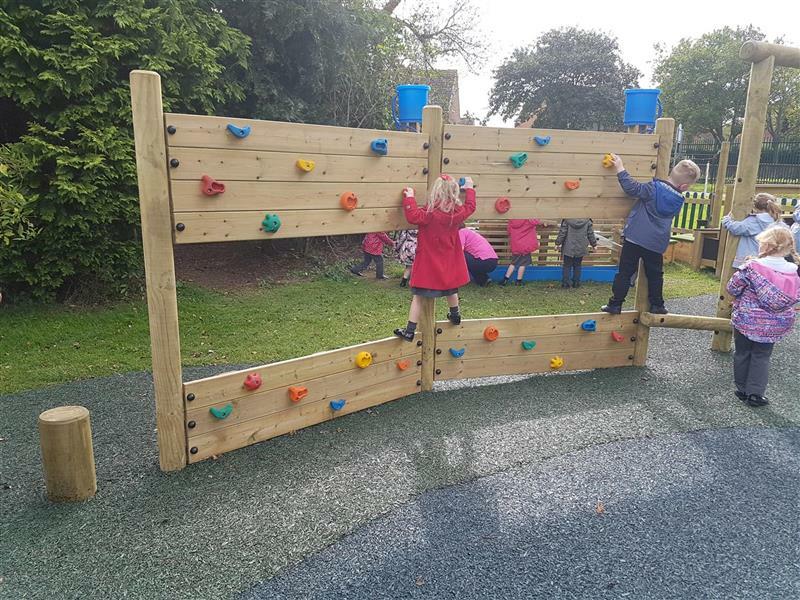 Traditional climbing walls and traversing walls are a great place to start, and the different heights, lengths, angles and levels of difficulty available means you can find something to suit children from EYFS through to KS2. Children can enjoy practicing their climbing skills on different types of playground equipment too. Trim trails that incorporate climbing walls, playframes, climbing poles and towers offer brilliant alternatives and encourage everyone to have a go and start their climbing journey, including those children who might initially be intimidated by a straight climbing wall. 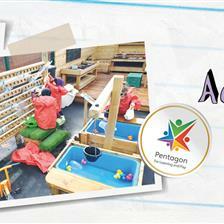 At Pentagon, we design, supply and install a wide range of outdoor climbing equipment for primary schools and nurseries. 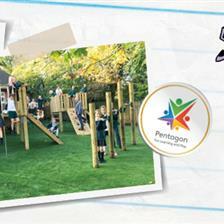 You can view our full range of active playground equipment and climbing frames here. If you would like to improve the climbing facilities at your school, please do not hesitate to Contact Us for more information and a free consultation.